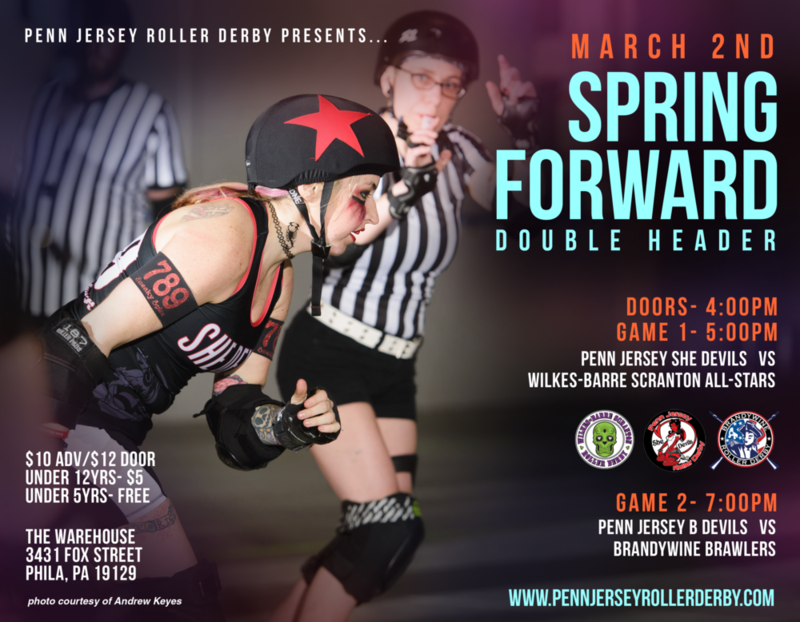 We're celebrating our Season Opener with an Open Season Flat Track Double Header! 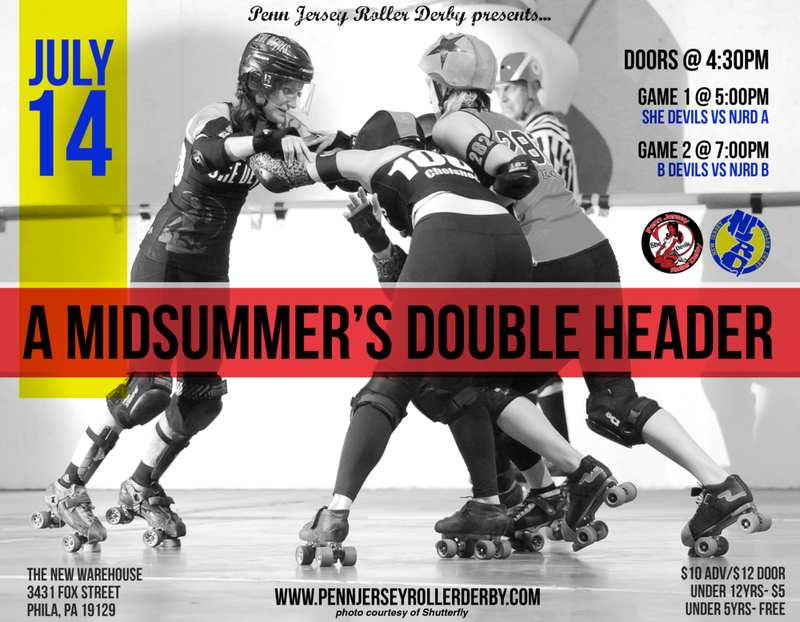 First up, Red Team takes on Black Team in a PJRD intraleague mash-up you won't want to miss! 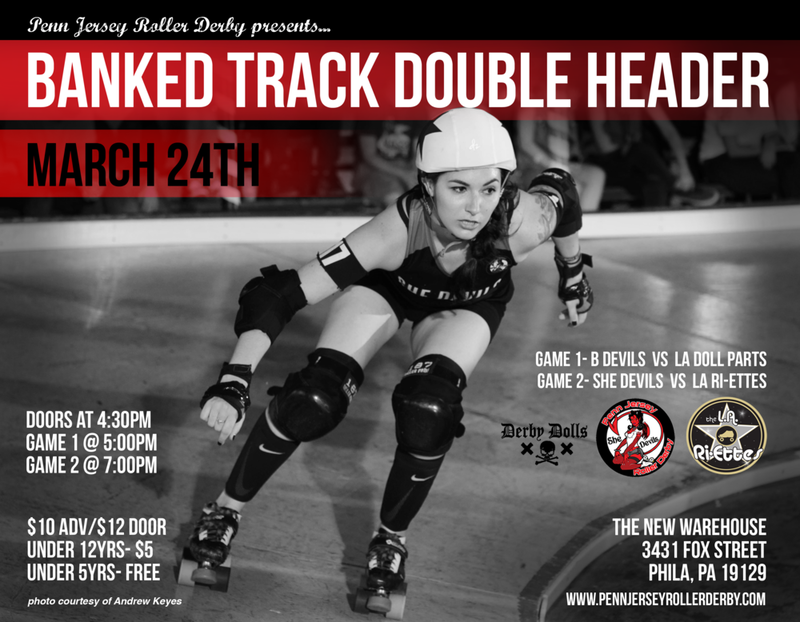 The second game features Penn Jersey's very own She Devils as they take on the Black Rose Rollers All-Stars! Click on the link in this event to buy discount advance tickets! 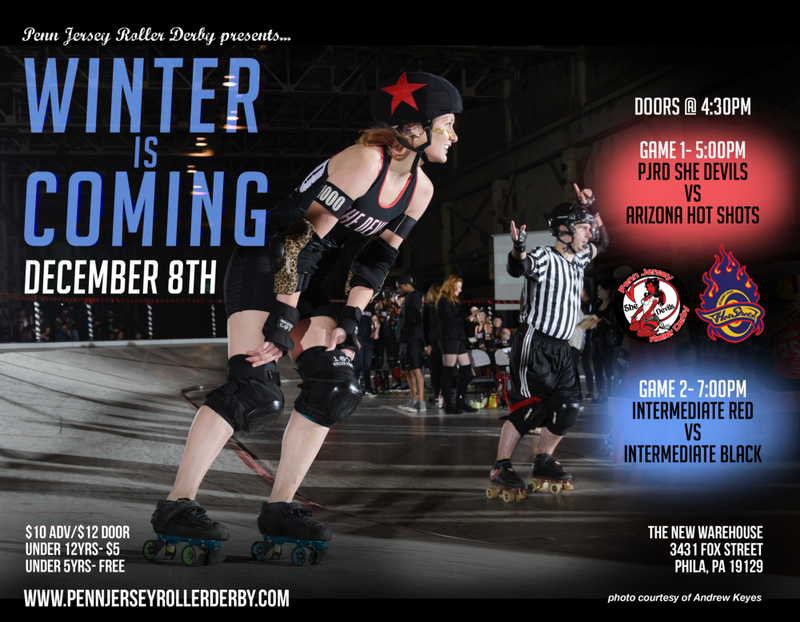 The She Devils and B Devils will be taking to the great southwest for the 2nd annual Chingadera Tournament, hosted by the Arizona Derby Dames. This tournament is played on the banked track by RDCL rules. 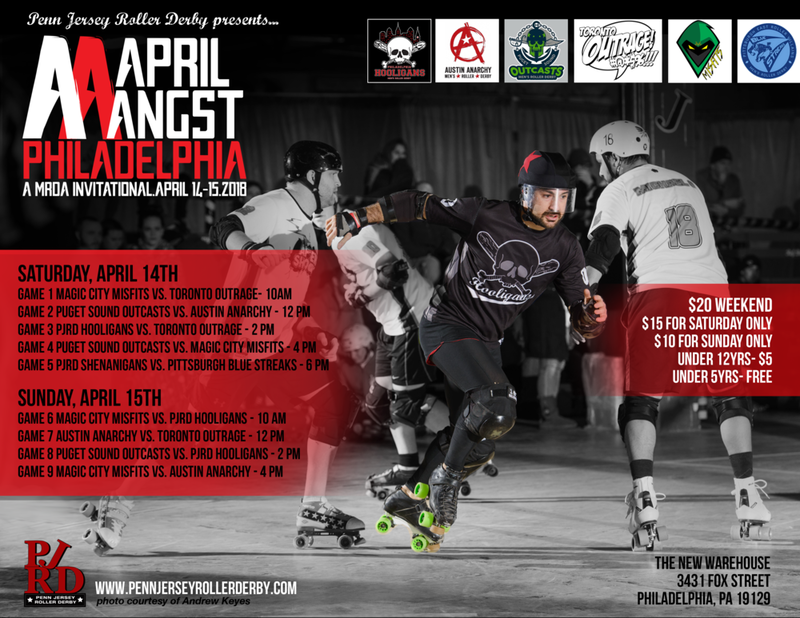 Love (and derby funk) is in the air! Celebrate Valentine's Day with PJRD! We're hosting a three-team round robin flat track exhibition! Team Red vs Team White vs Team Black! Saturday 2/10 from 3-6pm (first whistle at 3:30pm)! 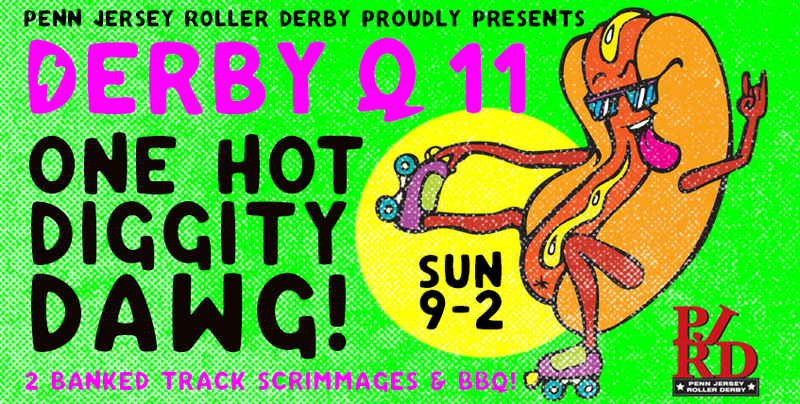 Open to all skaters having passed WFTDA minimum skills. Each game will be 30 minutes long. Skaters! Please register at the link below and PayPal your $10 to pennjerseyshedevils@gmail.com to confirm your spot! 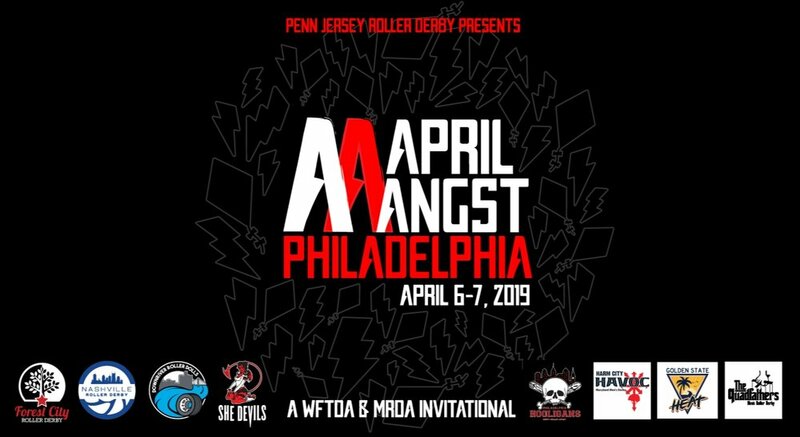 Teams will be announced in advance, but we ask that all skater bring every color (red, black, and white) shirts just in case there are last-minute drop-outs or substitutions! Spectators! No advanced tickets for this, just pay your $5 at the door. Click here for Skater Registration! Our newest rookie graduates take to the track to Deck the Halls...and each other! Who will win this mistletoe massacre- The Santa Slayers or the Jack Frost-Biters? Don't be a lump of coal–Fa-La-La your way to our NEW warehouse and find out! Join us for a Halloween event of epic proportions! It's Skatin's Spooktacular! This year, we'll be having not one but two flat track games! 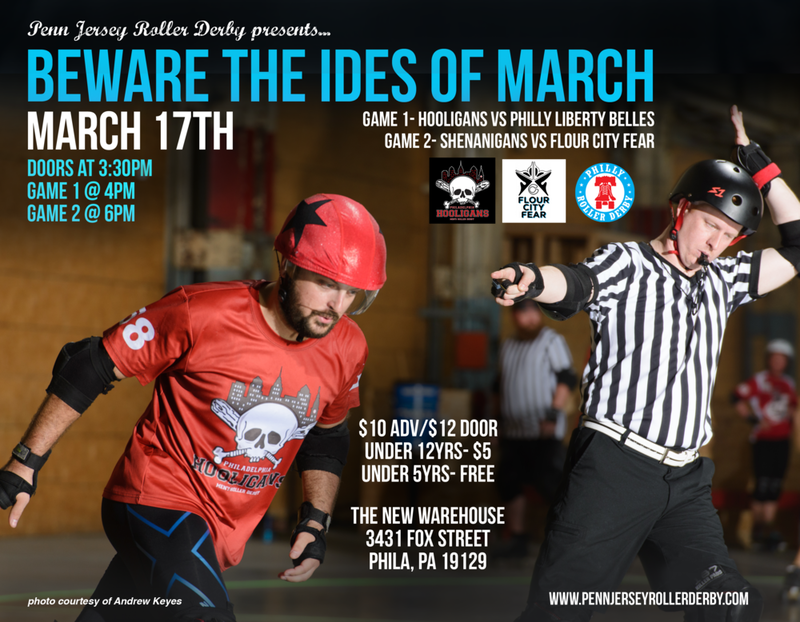 The She Devils will be taking on the Lehigh Valley All-Stars and the Shenanigans will be playing Casco Bay Gentlemen's Roller Derby! To add to the ghoulish festivities, we're going to have a costume contest at halftime, games, prizes, and more! Bring the family! No tricks here, only treats!